– pcmanfm2, the new filemanager, is still in beta state. support, but it needs more tests. you click on “Try Lubuntu …”. Just wait, it will continue as normal. For those who haven’t try Lubuntu or LXDE, it’s a good chance to do it. The Lubuntu team did a great job to integrate LXDE and Ubuntu. This might be one of the best LXDE-based Ubuntu variant ever. 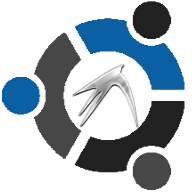 Kudos the Lubuntu team! Many people ask this question recently. Actually, we do not have an official distribution named Lubuntu… yet. So time to get in touch with the Ubuntu community and Mark Shuttleworth about a cooperation. I finally met up with Mark today for breakfast here in Berlin and talked with him about the idea of Lubuntu, LXDE and Ubuntu. As a first step Mark invited us to become a self-maintained project in the Ubuntu community. This means we will be able to manage LXDE inside Ubuntu, ultimately offering an Ubuntu derivative, ergo Lubuntu. Congratulations to the whole team and community. I am looking forward to this milestone! Special thanks for supporting the growth of the community and being a link between Asia and Europe to Arne Götje.